NDO – A Ban (Bauhinia) Flower Festival officially opened in Hanoi for the first time on April 6, aiming to promote and honour the beauty of the northwestern forest. The event aims to raise funds for the construction of a suspension bridge for children to go to school as well as improve the clean water in the northern mountainous provinces in the country. During the festival, 300 bauhinia flower trees are being introduced to Hanoians as well as both domestic and international visitors to the capital. 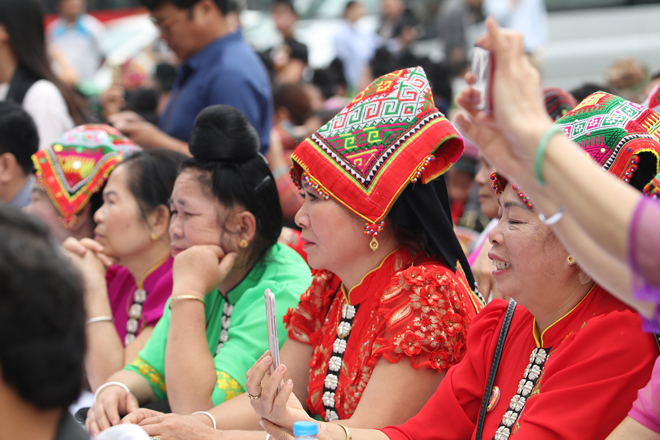 The Bauhinia Flower Festival is organised in parallel with an investment and trade promotion fair which features nearly 200 pavilions promoting traditional products and specialties from the northwestern region. The programme will last until April 14 and is expected to conserve national cultural heritages and enhance the great unity block, as well as promote tourism potential, contributing to socio-economic development of the northwestern provinces in the new period of integration and development.